So many people buy insurance online these days you may wonder what relevance a local insurance broker has? Well, we are specialists when the computer says No! In our experience every home is just a little bit different. Look out of your window – are you really identical to your next door neighbour?! Our office is in Tamworth so we also have local knowledge of the Tamworth, Lichfield and Sutton Coldfield areas. Buying online can be very simple if you want something quick, easy, cheap and… assuming you can tick every box. But what happens if you can’t? What if you live near a river or are in an area affected by flooding? What if you’ve got a Picasso hanging in the hallway or own several thousand comics? What if you were made bankrupt 10 years ago? What if you’ve had previous claims? What if your property is listed? What if you’ve been declined by your last insurers? What if you own a bicycle worth £10,000? What if your son lives at home and has a criminal record? It is in these circumstances that’s when the computer often says no, and when we can often say yes! 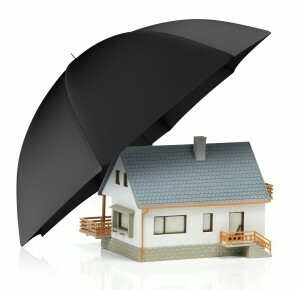 Most of the home insurance we provide (or people) we insure tick the wrong box somewhere… And that’s where we can help. We deal with some excellent household name insurance companies like Aviva, AXA, Allianz, Liverpool Victoria (for example) but we also deal with some very specialist insurance companies who only offer their products through insurance brokers. So the only way you can access home insurance from them, is via someone like us! We will always need to know about the property – address, description, type of construction, age etc. – and we will always need to know about YOU – date of birth, occupation, criminal record, claims, inside leg measurement (just joking). We will also need to know about the security you have on your home, for example, what sort of locks are on your doors and windows – and we can often advise you what you’ll need for your home insurance. We’ll also need to know what your sums insured should be and please don’t think the sale price of your house is at all relevant, because it isn’t. If you’re stuck, you can find the cost for the building itself, by looking at https://abi.bcis.co.uk/ if you are looking for buildings insurance. If all else fails, just pick up the phone! There is a reason why we win so many awards for customer service. We care. You can ring us at any time for advice or for a quotation that’s what we are here for because home insurance, buildings insurance and contents insurance can sometimes be a little more complicated than you might at first assume. That’s why so many people are underinsured. We are the experts so please just ask us. Please click here to arrange a call back or to email us if you would like a quotation. Our offices are open Monday to Friday 9am to 5pm and we look forward to helping you with your home insurance whether that’s buildings insurance, home contents insurance or both.